I have to own up to one of my guilty pleasures: I sometimes watch QVC and HSN. 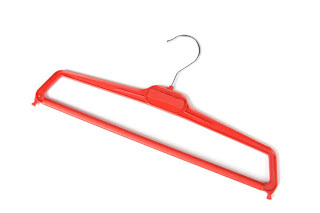 There’s a lady on HSN this weekend selling a product called Huggable Hangers. Her name is Joy Mangano. She’s on there about once a month selling these things and every single time I tune in she’s got like 10,000 + hangers sold. What a great product this has to be, right? Well, some of the comments on the HSN blog say otherwise – the hangers are flimsy, they fall apart, they are cheaply made, blah blah blah. So why is everyone buying these hangers??? Answer: Joy Mangano is an AMAZING salesperson. Amazing. She could sell a brush to a bald man.